A new Blurb book calls for a new giveaway, don't you think? To participate in the giveaway I want you to leave a comment telling me where you live and what you enjoy most about summer in your part world. A winner will be picked at random in one week, on July 29 at ca 8 pm CET+1. 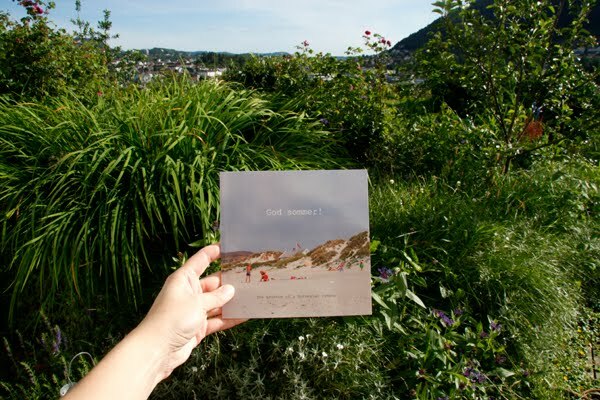 The book is called God sommer! The essence of a Norwegian summer and is 40 pages square format soft cover with standard paper. You can see the preview of the whole book here or below. OH YA!!! I am Carol and i live in Tainan, Taiwan. I live in Bergen, but in the summer I stay at Klepp, Jæren where I'm from, usually working and meeting my friends that study other places. What I enjoy most about the norwegian summers is that it's so light outside, and also how quiet it is back home when everybody leaves for vacation elsewhere. I live in the Balearic Island, Mallorca (Spain). My favorite routines in the island in summer is to go to one of the several small mountain villages searching little beaches where I can take a bath and relax, enjoying the wonderful landscape. And at the end of the day, I love to see the sunset on the sea while I'm eating a refreshing ice cream. Oh that's a nice idea ! I think the thing i like the most in summer is having picnic with friends in the parisian parks ! Picnic means summer in Paris haha! Hello, I am Daniela and I live in Cuneo, a little town in the north of Italy, surrounded by beautiful mountains!I love summer!! :-) even if summers here are short and not so hot, I love just being more outside, biking more, going to the mountains for trekking and eating the wonderful vegetables and fruits our garden provides us! !I LOVE SUMMER!! I live in Aberdour, a little village in Scotland that sits across the Forth from Edinburgh. I love mornings like this when I look out and see the sun shining and the sea sparkling. I live near Brussels in Belgium and what i like most about summer is the freedom that you can smell in the air. Everything is possible! I live in Stavanger. And my favourite part of summer is bare feet in the grass and sand and swims in the (cold) ocean. I live in Northern California. I love having lakes nearby to go swimming and and hiking around. I live in Leipzig, Germany. In summer I love to be at the "Hörspielsommer". It is a festival where you can listen to audio books, outside and while watching to the sky. There is always a great atmosphere. I help organising this event. I live in the beautiful part of England, in Hampshire, also known as "Jane Austen country". Her world famous museum in Chawton is about 20 miles from our house and I love going there. What I love the most about English summer is that when the sun shines, you can have a picnic almost anywhere you want, even in the grounds of the most magnificent palaces, and we often do that. I live in the UK and the thing I love best about summer is being able to go barefoot and feel how warm the earth is. Hello Astrid, I live in Rome, Italy. Qhat I enjoy most about Italian summer is watermelon, perfect ligh for film and Through the Viewfinder pictures, dining on a terrace (I don't have one, so I hope for invitations!) and going to the beach in Sardinia, the island my mother comes from. what a great giveaway, I live in Canada and I enjoy everything about summer and my vacation of course, this year we will go to N-Y and than Wildwood NJ! I live in Krasnoyarsk, Russia. It's currently located in Siberia. I enjoy every summer day here, walking in the forest or drinking cup of tea in the early morning and listening to birds. Also I love little rivers with cold water to swim. I live in New York City and I love going to the beach in the summer, picnicing at governor's island and seeing music outside. Also - ice cream! Wow, so many different countries already! I live in Hamburg in the north of Germany and on the south-west coast of Ireland. I love the warm summer winds, the special atmosphere of a gorgeous summer evening and the long days and short nights. I love to go swimming in the North Sea or the Baltic Sea if the weather is what it should be in summer: sunny and warm. Hurray! Another chance to win an Astrid book. I live in Dallastown, Pennsylvania USA. I am a landscape gardener and artist/photographer. In summer I love relaxing in my woodland garden in the early morning and cooking on the patio in the early evening. Along with cooking comes the enjoyment of seasonal vegetables and fruits. I feel super healthy in summer. I love summer. I live in beautiful Bergen. I love that you never know what weather it is outside, that you have to change the plan of the day if the rain is pouring down and I love when the sun shines and everybody go outside happy, just enjoying the city. how great to read about where people are from! I live in the south of sweden and my favorite part of summer is the light, hands down. it's what makes me survive the winters! I live in Seattle, Wa. Summer is shorts, sandals, Spanish padrone peppers, and lots O' rose after days of frolicking in farmer's markets and adventures by bike or foot. I live in south-east Kent, UK and the summer is the perfect time for a lazy picnic in the park.. we have some BEAUTIFUL parks here! I live in Zeeland, the most south west part of the netherlands. what I like most of our summers here; beach, salty storms, seaweed, cold water, the whole breeding cycle of the seagulls. Hello :) I live in Katowice, in the south of Poland. Most of all I love eating summer fruit bought on a local market. I also like summer storms after which there is usually a beautiful rainbow. And walking through forest or fields after the rain. I like sitting and eating outside and enjoying the long summer evenings. I met the nordic summer some years ago, and I'm jealous of you! Have a nice summer up there, you three. Thanks for sharing those charming points of view. also, i hope you're okay over there in bergen. norway's on my mind. my name is Petra and i live in Budapest. I love going to concerts with my friends by bike, and then coming home with them all along Andrássy út and Városliget. I also love visiting my sisters, drinking some 'fröccs' with them and playing with their children. And!riding round the Balaton, sleeping under dark sky and waking up under light blue sky. actually everything is beautiful in summer...isn't it? I live in Barcelona, but I spend my summer in a seaside village. What I love more of my summers is the simplicity of them. Little activities becomes the main ones: waking up, going to the beach, reading a lot, preparing yummy fresh meals... I don't thing that it depends of the weather it is just the way we do . Hello! I live on an island west of Seattle called Bainbridge Island. My favorite activity of the summer is swimming outdoors at night. It's magic. Hei Astrid! 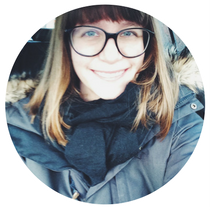 I'm Allison and I live in Philadelphia, US. Summer has been horribly hot and humid these past weeks, but I got up very early Saturday to pick 13 lbs (almost 6kg) of blueberries from my favorite family farm nearby. The taste is so worth it! The new book is lovely! The winner will be lucky! I'm glad that I'm not too late to participate in your giveway :) I live in Vienna and what I love most about summer in Austria is sitting outside at a "Heurigen" (small wine restaurant) in the countryside, enjoying delicious food and wine with good friends. The night walk with my boys in the lovely Summer Sofia - that is one of the thing I really adore in this time of the year. The town becomes empty and so beautiful, quiet, friendly. I am Diana. From Sofia, Bulgaria. I live in Trondheim, Norway, and my favorite thing to do in the summer, is to relax outside in the sun (or shadow when it is really, really hot) with a magazine or a book, and a large glass of red currant juice! I live in Belgium and one of my favourite things in the Belgian summer is to visit my parents in the countryside and eat fruits as I pick them in the garden. A favourite of the favourite would be the strawberries - they live in the area that produce the best in the country! i'm Sara and i live in Italy (northern..) near PAdua. I arrived a little late but I try my luck ... I live in France. I love summer vacation with the kids, my small balcony in bloom and have time to savor every moment. i live in new zealand, and love everything about summer, particularly those lazy days by the ocean where you forget what time it is, and then you return home, sand between your toes, feeling a bit sleepy, having a cold lemonade, or maybe a beer. i live in nyc... favorite parts of summer here? central park picnics, bike riding, coconut ice cream on the streets in our neighborhood, eating at outdoor cafes! Aw how could I miss this giveaway... well I live in Tehran, Iran. and let me tell you that it's really hard to say what I love about summer in my region. Because I don't think that it would be easy to pass a very hot summer time with that kind of cloths we have to wear like scarfs or others. So my summers usually being spent dreaming about sea shores and Popsicle! And also I distract myself by making light cool meals and hanging out around the house waiting for autumn! I live in Randaberg,near stavanger.. I like it that the air is so fresh,i like to go in to the fjords with boat..go to the beach..and go hiking.in fact I will go to Prekestolen tomorrow..
if nice weather I love to stay home in my garden and read..